Growing up in Fort Smith, Arkansas, retired Tech Sgt. Stephen Hornsey never thought he’d work in healthcare IT. But after spending 22 years in the military, that’s exactly where he found himself. Veterans can often face difficulties transitioning to a civilian career, but the skills that Stephen honed during his service led him to healthcare IT and to Nordic as a principal trainer. Inspired by good friends and a higher calling, Stephen joined the military at age 20. 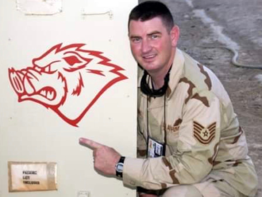 Enlisting in the Arkansas Air National Guard as an aircraft mechanic on F-16 fighter jets, he served one weekend a month and two weeks a year at the 188th Wing in his hometown. In his role, Stephen had to learn all aspects of aircraft maintenance, from jet engine repair to avionics to changing an F-16 tire. Diagnosing problems and learning to work with different crews such as the fuel crew and ammunitions team was a large part of his job. It was a very hands-on role, and he enjoyed getting his hands dirty. After nine years in aircraft maintenance, Stephen was seeking a larger challenge and decided to join the public affairs office at the base. He spent the next 13 years as the base photographer and videographer. He also handled base communications, created PowerPoint slides, performed presentations, conducted interviews, and interfaced with local media. It was in this role that Stephen deployed twice to Iraq in 2005 and 2007. 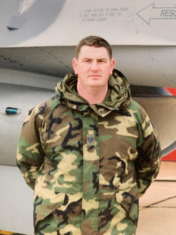 During his deployments, Stephen worked with weapons systems video on F-16s. Stephen and his unit would film and analyze footage from aircrafts to gather intelligence and verify targets, often diagnosing whether activities on the ground were friendly or not. No matter what the uniform said — U.S. Air Force, U.S. Marine Corps, U.S. Army — they were all on the same team, working together to keep each other alive. And Stephen did that well, never losing a single troop during his deployments. Once back in the States, and soon approaching military retirement, Stephen started thinking about his post-military life. His wife and children had sacrificed a lot during his 22 years in the Air Force, and he was looking forward to giving them back his weekends. He ran into an Army National Guard friend who was a radiation tech at a local hospital that just happened to be implementing Epic. He mentioned to Stephen that they were looking for a credentialed trainer and that it could be a great opportunity to get him out of the house after retirement. After learning how his experience in the public affairs office could translate to the position, he gave it a shot. After applying and interviewing, Stephen got the job and excelled, as he was used to addressing crowds, answering questions, and preparing presentations from his time in the service. Even though the job was initially for 90 days, the hospital kept him on long after the Epic implementation. After one year, he was promoted to a principal trainer, with the hospital assisting with his rigorous training and certification. After four years with the hospital Stephen decided to enter the consulting world. In 2017 he stumbled across a principal trainer position with Nordic, a company he had not previously heard of. After doing a little bit of digging, he heard nothing but good things and decided to join Team Nordic. Since joining Nordic, Stephen has seen how his military background has proven valuable not only in the technical aspects, but also in building a team. He knows from experience that you can’t fight the battles on your own. Just like he did in Iraq, Stephen immediately starts building relationships with those he’s working with when arriving to a new client site. He always makes sure they know that he has their backs. His favorite method? Humor and dispelling myths about being from the South: “I’ll pull up my pant leg and say ‘Look, I’m wearing socks and I have all my teeth!’” It has seemed to do the trick, as after four years of consulting, he’s garnered friendships across the country. For him it’s the most satisfying part of the job. Nordic would like to thank Stephen and the entire military community for their service and sacrifice for the United States. Thanks to you, we’re able to create a supportive environment in healthcare that allows our team to make a difference, be happy, and grow their career. If you’re in the military or are a veteran and are interested in learning more about working in healthcare IT at Nordic, please contact us to see if there’s a fit.